It's relevant for those who are still using the four-year-old budget smartphone. Xiaomi has come a long way in its four-year journey in India. With the launch of the Redmi 1S in India in 2014, the company embarked on a great expedition that now helps it dominate the budget smartphone segment, giving tough competition to giants like Samsung. Even though there over 40 Xiaomi smartphones today, the Chinese tech giant hasn't forgotten its four-year-old devices. Xiaomi has started rolling out its latest MIUI 9.2 Global Stable ROM to the Redmi 1S smartphones with thoughtful upgrades that are still relevant in the low-spec smartphone. 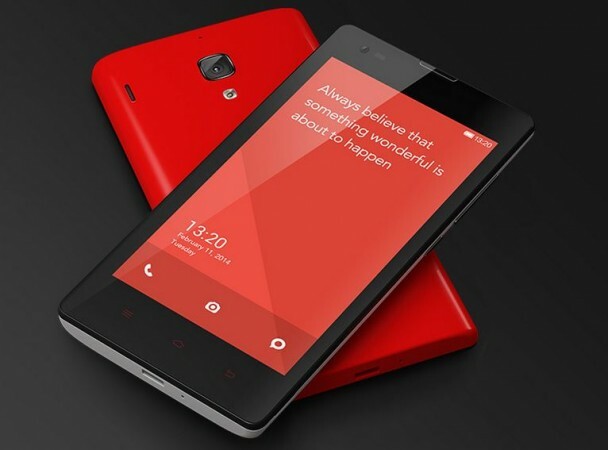 A senior member of the MIUI forum posted a detailed changelog of the latest update, while reminding Redmi 1S users that the ROM is still based on Android 4.4.4 KitKat OS. It is not surprising that the Redmi 1S still runs the ageing KitKat OS. After all, the handset runs on a Snapdragon 400 chipset, 1GB RAM and 8GB storage. These specification limitations would not allow the smartphone to go any further than Android KitKat. 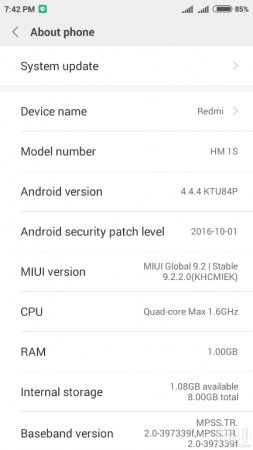 Additionally, the MIUI 9.2 Global Stable ROM for Redmi 1S includes the Android security patch level from October 10, 2016. But that's no reason to be disappointed as the handset users are still in for a treat. As per the changelog posted by a MIUI forum member, MIUI 9.2 on Redmi 1S brings series of new features, including new App Lock that allows hiding messages from selected apps, a new UI with changes in the lockscreen, status bar, and notification bar. New themes — Peach blossom and Asphalt — have been added to the mix to give users a refreshed feel that compliments the redesigned home page. Xiaomi Redmi 1S on MIUI 9.2 gets the updated Mi Mover app to support data migration restarting. Improvements have been made to the battery usage feature to allow automatic turning on of the Battery Saver Mode when charging. Other changes in the new update include optimisations in the Security app, Dual App setting, Bluetooth setting, Mi account and Mi Drop. Check out the complete changelog HERE. The update weighs around 150MB in size, so it is recommended that users are connected to a secure and stable Wi-Fi before initiating the installation. In order to update the Redmi 1S to the MIUI 9.2 Global Stable ROM, users can either wait for the OTA notification and follow the instructions or go to the Updater app to check for the latest firmware. Users can also go to Settings > About Phone > System update and check for the latest update.